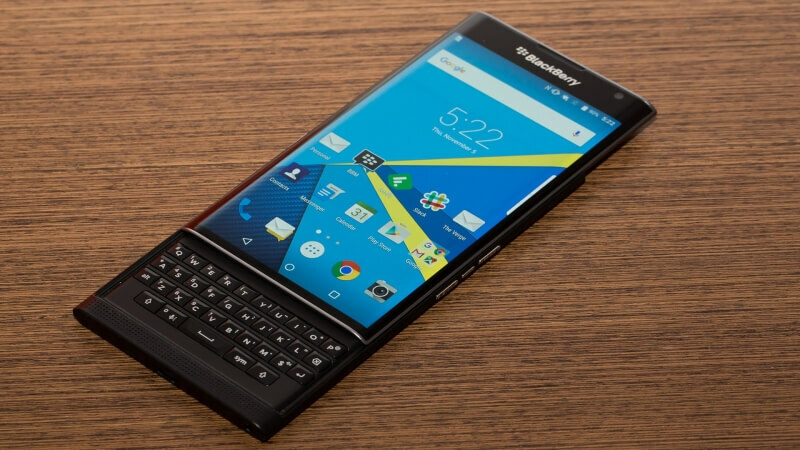 BlackBerry's flagship Android smartphone, the Priv, apparently hasn't been selling too well. The company has cut the price of the device by $50, but that still results in an expensive price tag of $649, which keeps it firmly competing with newer flagships like the Galaxy S7 and LG G5. While the Priv does have a unique design, including a slide-out hardware keyboard and a large 5.4-inch AMOLED display, $649 still seems like a lot to pay. The brand new Samsung Galaxy S7 retails for the very same price, and similar phones from the same era as the Priv – like the Nexus 6P, Sony Xperia Z5, and Galaxy Note 5 – can be found for $100-150 less. BlackBerry apparently sold only 600,000 Priv units since its launch, which is lower than the company expected. If they don't start making money from smartphones this year, CEO John Chen has stated that BlackBerry may exit the handset business entirely. However, the Priv would have been an even bigger flop for BlackBerry if it launched with BlackBerry 10 on-board instead of Android. BlackBerry 10 is essentially a dead operating system, with the company's software efforts now focusing on apps and services for mobile operating systems people actually use, like Android and iOS. If the Priv is to become a profitable device for BlackBerry, the company needs to sell around 3 million units, which Chen believes is achievable. It took longer than expected to launch the handset on Verizon, and BlackBerry wants to expand the Priv's distribution base to other carriers and countries around the globe. With increased pressure from new Android handsets it seems unlikely that the Priv will be a big seller this year, especially at a price point of $649. There is definitely still a niche market for users that want a hardware keyboard, but it mightn't be large enough to gather another 2.4 million sales.